Vault is one of two events in artistic gymnastics that both men and women perform. (The other is the floor exercise). It's an explosive, exciting event, with very little margin for error. Though a vault is over in a matter of seconds, it has equal weight to the other events in which a gymnast competes. All gymnasts vault over a piece of apparatus called the table, a slightly-inclined, metal piece of equipment with a padded and springy cover. For men, it is set at a height of 4 feet 5 inches (135 cm), while for women it's set at 4 feet 3 inches (125 cm). 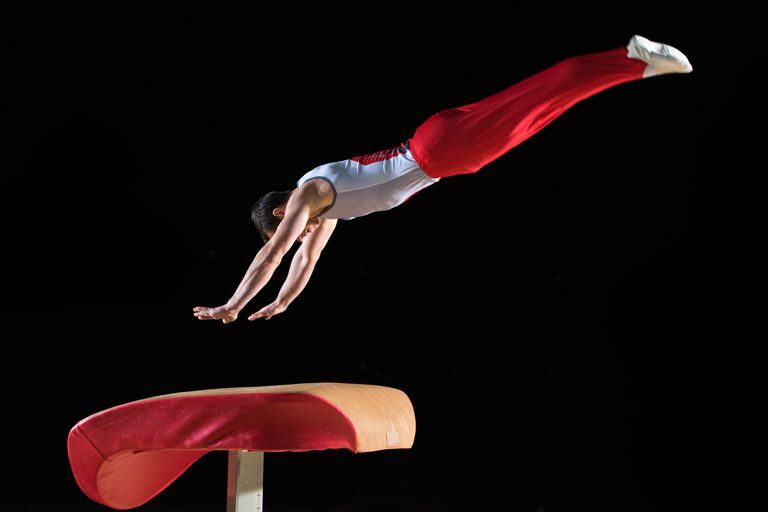 In 2001, the apparatus was changed, from a long cylindrical structure (similar to the pommel horse) to the current table. This is why it's sometimes still referred to as the vaulting horse. The relatively new vaulting table is designed to be safer for gymnasts because of its large push-off area (its length is almost 4 feet and its width about 3 feet). Vaults are divided into five different groups, called families. The most common families performed are the front handspring style, the 1/4 turn in pre-flight (called a Tsukahara or Kasamatsu depending on the technique), and the round-off entry (often called Yurchenko-style). 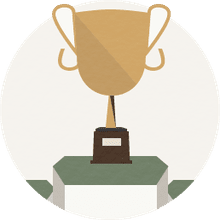 In elite competitions, such as the Olympics, worlds, and US national championships, gymnasts perform one vault in team and individual all-around events, and two vaults from different families in the individual vault finals and in qualifications to the event finals. Competitors can perform any vault they choose and usually select the most difficult vault they can perform successfully. The gymnast begins at the end of a runway approximately 82 feet or less from the table. (She may choose the exact distance of the run). She then runs towards the table, building up speed as she goes. When the gymnast is about 3-6 feet from the springboard, she performs a hurdle (a low jump from one foot to two feet) or round-off onto the springboard. What to Watch: Though this part of the vault is not officially judged, the gymnast should be running as fast as possible in order to build momentum for her vault. This is the time between when a gymnast hits the springboard and when he makes contact with the table. What to Watch: Tight form is very important at this stage because a gymnast doesn't want to lose the power built up from his run. The gymnast’s legs should be together and straight, with toes pointed. His arms should be stretched by his ears. The gymnast touches the table and then pushes off with her hands as forcefully as possible to propel his body into the air. What to Watch: As with the pre-flight, it's very important for the gymnast to maintain a tight body position to create as powerful a vault as possible. Think of a pencil versus a wet noodle. The pencil can bounce off the ground on its end, whereas a wet noodle certainly can't! This is the most exciting part of the vault. The gymnast has pushed off the table and is now in the air, usually performing flips and twists before she lands. What to Watch: Both height and distance are judged, as well as form such as pointed toes and tight together legs. The gymnast makes contact with the ground at the completion of the vault. What to Watch: The ultimate goal of every gymnast is to stick the landing — to land without moving their feet. It's also important that the gymnast land between specific boundaries in line with the table which are marked on the mat.